Here comes sad-smiling Death, carting his hairy bag of calamities. He stomps his toe-pinching boots around the pastel neighborhood, knocks with sharp knuckles, folds open the bag to show what he has to sell. The mothers say, “Not today. Sorry.” The fathers bring their balloon-cheeked children inside. Death smiles his thin smile, tips his hat, and moves down the street. He has one house left, and then his shadow will move on to some other place. A stumpy, pinch-eyed woman answers the door, her hallway filled with encyclopedias and vacuum cleaners. Death shows her his roiling bag. She waves him inside. Death folds open the bag on the table. He has cancers in every flavor, car accidents, cans of asthma, ruby-bright heart conditions. He has electrical hazards that sizzle in the palm. He has jars of fire, declarations of war, chlorinated water for drowning. Smiling Death pulls off his toe-killing boots and gets comfortable. He dots the i’s and crosses the t’s. The woman picks how each person in town will die, when they will go, if they will suffer. For her rotten boy, she buys a long, quiet life and a shriveled set of lungs, stopping the wind that pushes the rough voice out of his throat and fills concert halls. Her rotten boy wakes feeling like he can’t breathe. He comes downstairs, blinking at his Ma sitting with a stranger. He pulls on a pair of black boots and goes out for whatever meal it is. The grass dies under his heels, but he walks with his eyes closed in the hateful sunshine. Death packs everything back up, his bag sagging light, but he can’t find his shoes. He slips on a pair of the old woman’s, the sneakers squeezing his toes together, and limps out of their lives. All over town, people the old woman hated drop dead in their yards. People she loved—mostly librarians—feel an easy peace, their deaths tucked decades away. And the rotten boy, his broken chest fluttering with quick, baby-bird breaths, tries again and again to sing, but he can’t get a note off the ground. He leaves town soon after, travels the country in his new black boots. Death follows his footsteps, storm and fire, sickness and flood. He dances with women in bars, and they die in his arms, on the telephone, in bed next to him. He writes songs about them, little notes of hurt like a splinter in the hand, and mails them off for other people to sing. He tells his friends that this isn’t what he wanted, that he’d be fine dying young. But his damned, disappointing heart—it just keeps beating. Micah Dean Hicks is a Calvino Prize-winning author of fabulist fiction. His work has appeared in The New York Times Magazine, Chicago Tribune, EPOCH, and Witness, among others. His story collection, Electricity and Other Dreams, received a starred review from Publishers Weekly. 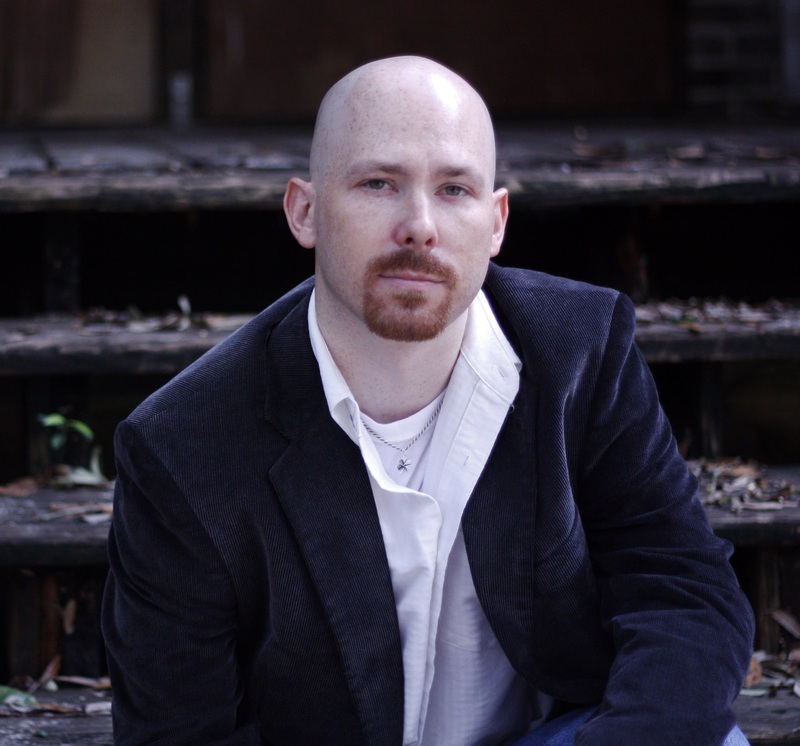 He teaches in the BFA program in creative writing at Arkansas Tech University.